I can pop a wheelie, I can touch the sky, I can pedal backwards, I can really fly! 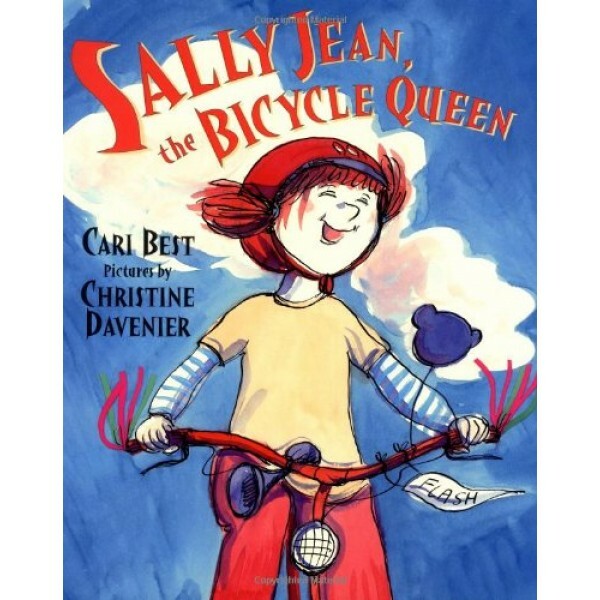 Sally Jean was born to ride. 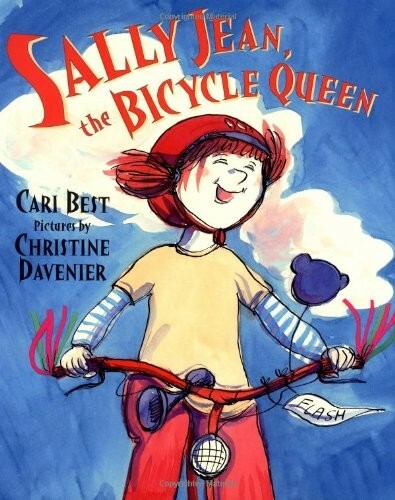 And her bicycle, Flash, is just about her best friend. But one day something terrible — and wonderful — happens. Sally Jean grows. Suddenly she finds herself too big for Flash. What's a Bicycle Queen to do? Finally, by collecting old bicycle parts to make a new bike — and giving Flash to a young friend who longs for a bigger bike of his own — she rides again! With exuberant art that's just the right match for Sally Jean's new found freedom, this joyous text celebrates growing up, learning new skills, and giving back to the community.